How to make a homemade hydroelectric power plant! 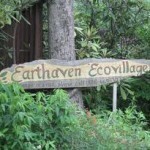 August 3rd, 2014 Posted in construction, eco hero, electric, green living, off the grid, water | 17173 Comments »http%3A%2F%2Fwww.ecojoes.com%2Fhow-to-make-a-homemade-hydroelectric-power-plant%2FHow+to+make+a+homemade+hydroelectric+power+plant%212014-08-03+18%3A06%3A17ecojoehttp%3A%2F%2Fwww.ecojoes.com%2F%3Fp%3D1717 Make sure you like EcoJoes on Facebook to stay updated on green ways to save money and help the environment. Just click the "like" button below. Muchas gracias! Ho-ly mo-ly. Manfred Mornhinweg, de la República de Chile, is now an official eco-hero, joining the proud ranks of such luminaries as Amory Lovins (and almost Michael Jackson). 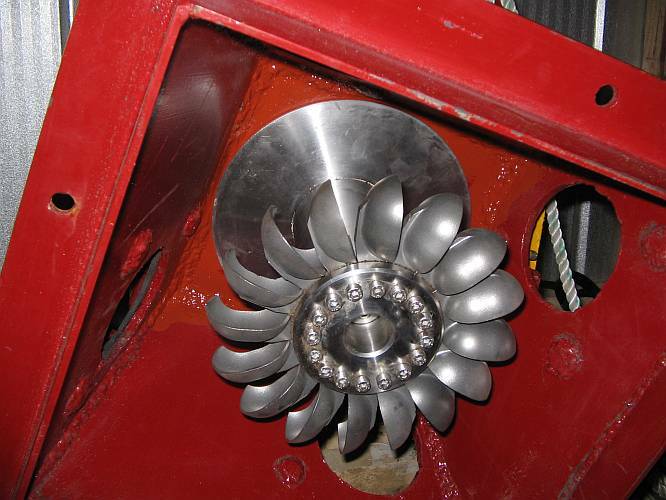 Not only did Manfred freaking build his own homemade mini-hydroeletric power plant, but he documented the entire process with pictures and step-by-step instructions! 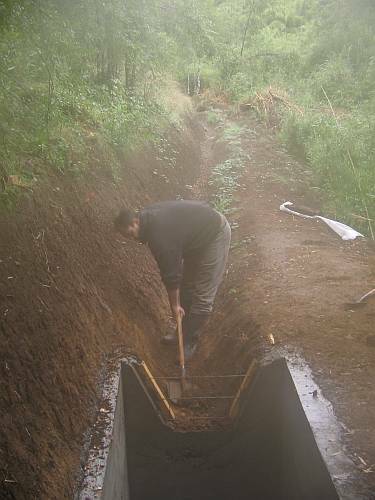 With the help of some of his friends and neighbors, and a whole lot of gumption, he dug a side-channel off a creek to divert some water for his lil’ hydroelectric plant. August 5th, 2012 Posted in gardening, off the grid, projects, save money, water | 13533 Comments »http%3A%2F%2Fwww.ecojoes.com%2Fhow-to-attach-a-homemade-rain-water-barrel%2FHow+to+Attach+a+Homemade+Rain+Water+Barrel2012-08-05+16%3A56%3A31ecojoehttp%3A%2F%2Fwww.ecojoes.com%2F%3Fp%3D1353 Make sure you like EcoJoes on Facebook to stay updated on green ways to save money and help the environment. Just click the "like" button below. Muchas gracias! Righto, so a little while ago, I built me a homemade water barrel out of a trash can and assorted odds n’ ends. The only thing left to do was attach the barrel to my gutters to collect all that free rain water. It turned out to be pretty easy to do, and I’ve been enjoying free rain water for my garden ever since, saving money and cutting down on my city-water usage. Bah-blam. June 24th, 2012 Posted in green living, off the grid, projects, water | 12841 Comment »http%3A%2F%2Fwww.ecojoes.com%2Fhow-to-save-money-by-making-a-homemade-rain-barrel%2FHow+to+Save+Money+by+Making+a+Homemade+Rain+Barrel2012-06-25+01%3A46%3A58ecojoehttp%3A%2F%2Fwww.ecojoes.com%2F%3Fp%3D1284 Make sure you like EcoJoes on Facebook to stay updated on green ways to save money and help the environment. Just click the "like" button below. Muchas gracias! 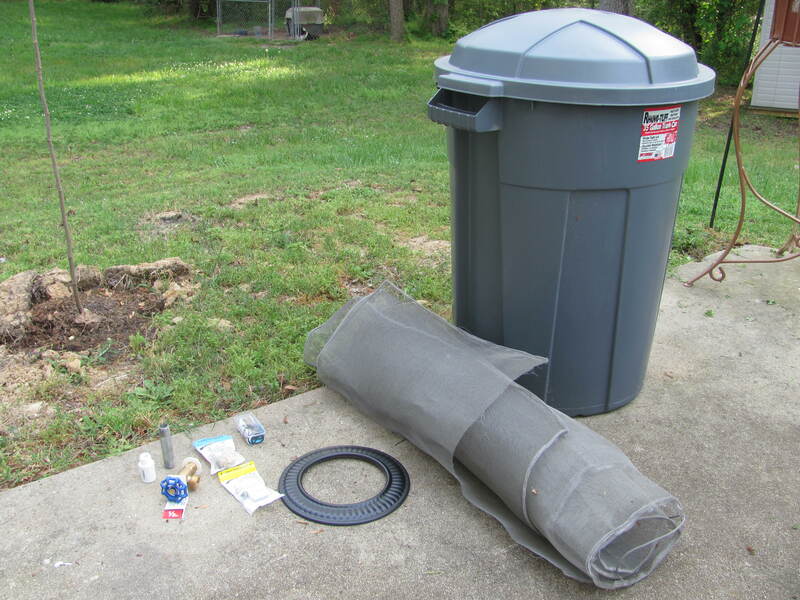 A rain barrel is a great way to conserve water by storing the rain from “Father Sky” until you want to use it for gardening, landscaping, or other assorted outdoor activities. This can also save you a chunk o’ change on your water bill. Here’s an easy way to make your own rain water barrel. I basically followed the instructions at the RaleighNC site, with a few EcoJoe twists thrown in for good measure. For this here project, you will need some supplies. You can get these for less than 45 bucks. Heck yeah. Handy Hint: If you tell the person working at the hardware shop what you’re building, they can help you find what you need. September 8th, 2010 Posted in books, off the grid | 881No Comments »http%3A%2F%2Fwww.ecojoes.com%2Foff-the-grid-book-review%2FOff+the+Grid+-+Book+Review2010-09-09+01%3A38%3A02ecojoehttp%3A%2F%2Fwww.ecojoes.com%2F%3Fp%3D881 Make sure you like EcoJoes on Facebook to stay updated on green ways to save money and help the environment. Just click the "like" button below. Muchas gracias! Oh snap! Go vote for this at Care2, por favor! Around the beginning of August, I was lucky enough to get a free copy of Nick Rosen’s new book, “Off the Grid: Inside the Movement for More Space, Less Government, and True Independence in Modern America“. Nick runs the website Off-the-Grid, and lives part-time off the grid himself. Basically, its a documentary of his travels around the U.S. as he visited loads of different people who were living off the grid. How “off the grid” they were varied from “off the grid ready” to completely off the water AND electric grid. To tell the truth, the book didn’t draw me in at first. After a brief introduction to what living off the grid means, and some info about himself, he goes into the history of the electric and water grids. Although the information itself was neat, it was not the most attention-grabbing stuff. But as I kept reading, I got more and more into this book. We meet different “classes” of off-grid people, from people who have vacation homes that are off-grid (but live on the grid themselves) to people who live full-time off the grids in tiny houses. It was interesting reading the conversations Nick had with the off-gridders. A lot of them seemed intelligent and nice, but some would come off as a bit paranoid. This is where we get to see Nick’s dry British humor, as he describes what he’s thinking as the person is telling him their strange ideas. But most of the people did seem “normal”. Many of them moved off the grid to save money, or because they wanted a nice house on nice land, but couldn’t afford it if it was connected to the grid. Some people did it for ecological reasons, some for paranoia, but almost all because they felt a detachment from the consumerism-dominated American culture. The first part was when Nick traveled to two places very close to where I grew up in Asheville — Earthaven and Turtle Island, where we meet the (figurative) mountain of a man Eustace Conway. I haven’t been to either of those places, but after reading about them, I definitely want to go and stay for awhile. 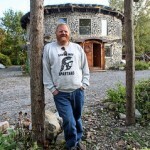 The second part was when he visited the Sultan of Scrounge, Jim Juczak, who lives at the Woodhenge Self-Reliance Campus. This guy sounds like a genuine eco hero. He never pays full price for anything, and gets most things for free, and the rest at insano discounts. His house (which is round and sounds awesome) is built from reused or very discounted materials, and he even gets his food for very cheap. Anyhoo, it seemed like this guy alone could fill a book. 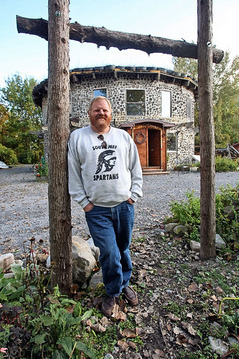 Here’s a nice article about him, with pictures of his bodacious casa. So that’s that. I hope you give this book a shot. 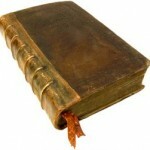 I thought it had great information and was pretty cool, but you don’t have to take MY word for it. June 11th, 2010 Posted in bike, cell phone, electric, inventions, off the grid | 8501 Comment »http%3A%2F%2Fwww.ecojoes.com%2Fhow-to-charge-your-phone-with-your-bike%2FHow+to+Charge+Your+Phone+with+Your+Bike2010-06-11+21%3A42%3A59ecojoehttp%3A%2F%2Fwww.ecojoes.com%2F%3Fp%3D850 Make sure you like EcoJoes on Facebook to stay updated on green ways to save money and help the environment. Just click the "like" button below. Muchas gracias! Have you ever wanted to charge your cell phone, but didn’t want to waste precious electricity that you had to pay for? Well now you can get some exercise AND charge your phone for free, because good ol’ Nokia just came out with a bike phone charger! How do I Charge my Phone with a Bike? 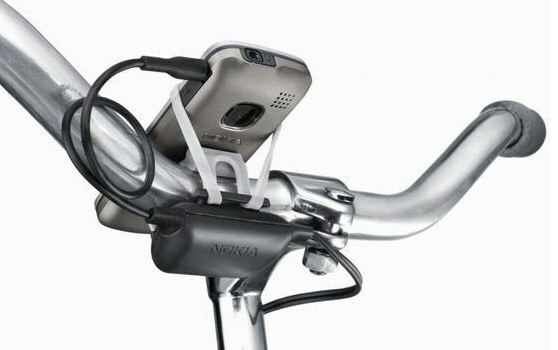 The Nokia Bicycle Charger Kit is attached to your bicycle. As you pedal your bike, it powers a small generator that transfers electricity to a charger on your handlebar. Voíla, just that easy. How Much Pedaling To Charge Cell Phone? That sounds pretty good to me. Plus, it only costs around $20. So if you’re down for biking and charging your cell phone at the same time, this might just be the ticket for you. August 25th, 2008 Posted in eco footprint, green business, inventions, off the grid, science, solar power, transportation | 244No Comments »http%3A%2F%2Fwww.ecojoes.com%2Fsolar-plane-sets-new-world-record%2FSolar+Plane+Sets+New+World+Record2008-08-25+14%3A47%3A53ecojoehttp%3A%2F%2Fwww.ecojoes.com%2F%3Fp%3D244 Make sure you like EcoJoes on Facebook to stay updated on green ways to save money and help the environment. Just click the "like" button below. Muchas gracias! 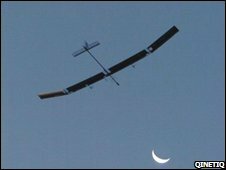 To see the video and read more about the Zephyr-6, head on over to BBC News, and tell them EcoJoes sent you. A solar-powered plane flew for a little over 82 hours, shattering its old record. The lightweight plane, known as the Zephyr-6, was flown as a demonstration for U.S. military, which is looking for new ways to provide air support for its ground troops. Dang, 3 days in the air just from solar power. This might be even better than the solar powered bra. Pretty amazing. If they could somehow make solar-powered passenger planes, we could cut down on air pollution while also reducing our dependence on non-renewable fossil fuels. It’s a win-win situation. August 25th, 2008 Posted in green business, inventions, off the grid, solar power | 214No Comments »http%3A%2F%2Fwww.ecojoes.com%2Fsolar-powered-bra-japanese-ingenuity-with-solar-power%2FSolar+Powered+Bra%3A+Japanese+Ingenuity+with+Solar+Power2008-08-25+13%3A45%3A13ecojoehttp%3A%2F%2Fwww.ecojoes.com%2F%3Fp%3D214 Make sure you like EcoJoes on Facebook to stay updated on green ways to save money and help the environment. Just click the "like" button below. Muchas gracias! I don’t have much to say about this, except that if I was a girl, I would be wearing one all the time. Triumph International Japan has finally done it; our world’s environmental problems are as good as solved now, for they have done the un-possible — invented a solar powered bra. I haven’t seen a “green” invention this innovative since the new milk jug design came out and confused some people. The bra is green (in color and philosophy), and has a solar panel attached to it that can be worn around the stomach. It generates enough energy to charge small electronics, like a mobile cellular phone or mp3 player or what have you. Not only does this bra collect solar power, but it also has plastic pouches that can be filled with water in case you get thirsty. So I guess it might save some water bottles?